If you live in the Rotterdam area and you love your drum and bass & dubstep, you’ll probably know that Wildstyle is throwing these awesome parties for quite some years now. Actually for more than 6 years already. And they’re coming with a new thing for their December 2018 edition: Wildstyle is teaming up with the educational platform, Education & Bass, by Nomine / Outrage. 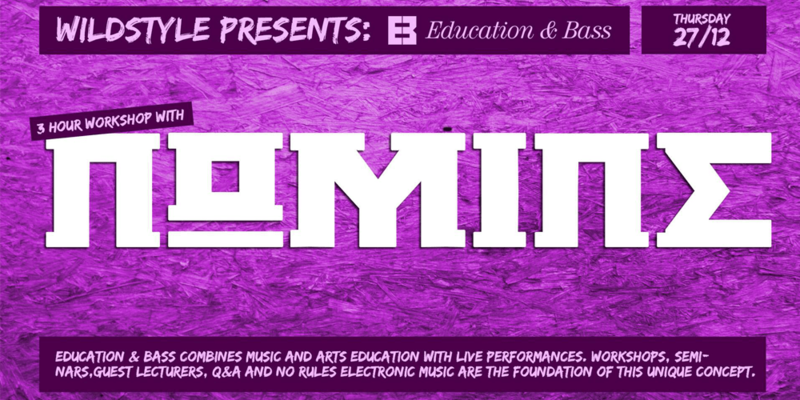 Andrew Ferguson aka ‘Nomine’ or ‘Outrage’ founded Education & Bass in 2016 and it first started as an event that combined music and arts education with live performances. Andrew is a well-experienced producer and DJ mostly known for his Jungle, Drum and Bass and Dubstep productions and performances. 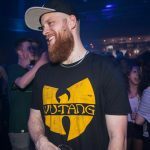 With Nomine for his Dubstep alias and Outrage for his Jungle & Drum and Bass alias Andrew has released his music on labels like Tempa, Metalheadz, Function, Inneractive. So yeah Andrew knows a thing or two about electronic music 😉 Btw, one of my favourite Outrage tunes is Red Letter, a big big big collab with Digital, look it up! 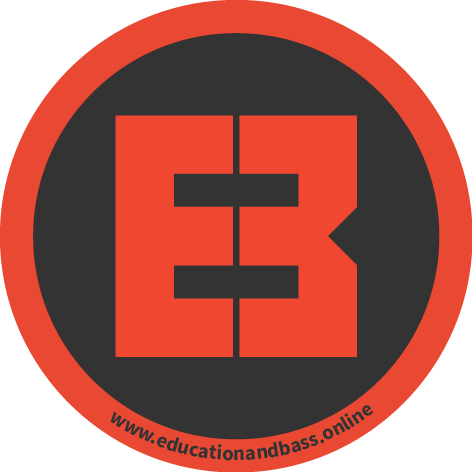 Anyway, the unique concept that is Education & Bass offers workshops, seminars, guest lecturers, Q&A’s and rules electronic music. No rules electronic music meaning the concept covers all genres within electronic music. It’s all about sharing production techniques, advice and guidance on how the industry works, performance, music history & culture and building a community of like-minded individuals. On Thursday December 27th Nomine comes down to Worm, Rotterdam to teach an evening workshop and afterwards, he’ll be headlining the night event alongside your favourite Wildstyle residents. Tickets for the workshop also guarantee entrance to the night event. They are available soon, for just €15, but act swiftly because there is a limited capacity. Make sure you’ll stay updated through their Facebook event.